Expressions Vinyl is having its biggest sale of the year today! Use the code CYBERMONDAY2015 to receive 20% off your order. 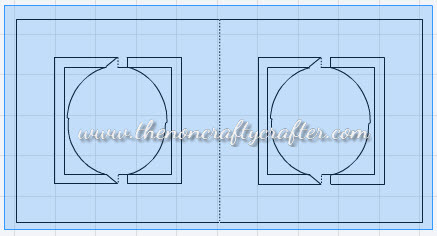 Two awesome deals for crafters over at The Hungry JPEG. 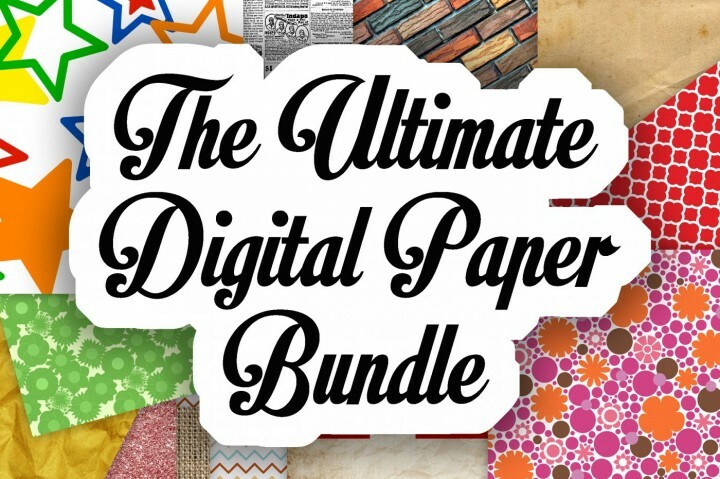 If you love digital paper then take a look at the Digital Scrapbook Paper Bundle. 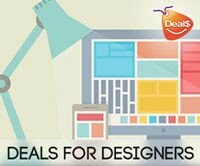 This amazing deal includes all of the artists current Digital Scrapbook Paper Designs as well as ALL of their FUTURE designs! You will have access to over 100 different paper packs. That's paper PACKS folks! 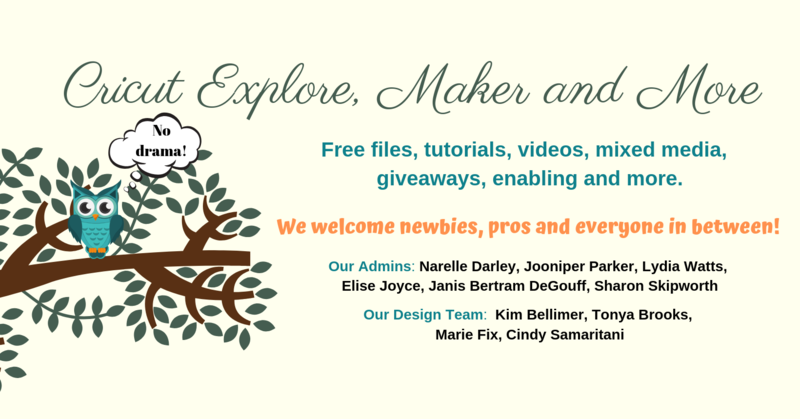 You will have access to thousands of different digital papers! All of the digital papers come as high resolution jpeg files. Most paper packs are 12" x 12" size. These papers are ideal for Scrapbooking, craft projects and more. 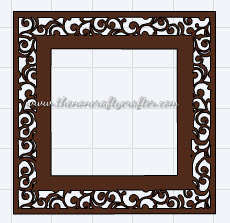 When you purchase this listing, you will receive a pdf file with a download link. Just click on the link and you will be taken to a download page. You can then download and save each folder individually. Each paper pack comes in a Zip Folder. All files added in the future will be in the NEW folder and will be organized by month. 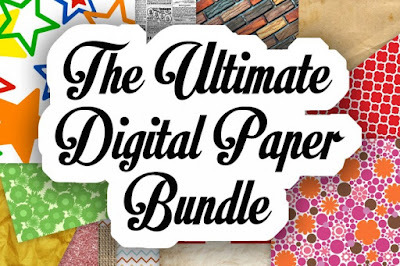 All Digital Papers may be used for Personal and Commercial Use! Second is the The Get Crafty Font Bundle. This $15 bundle that includes 12 beautifully designed 100% accessible fonts. 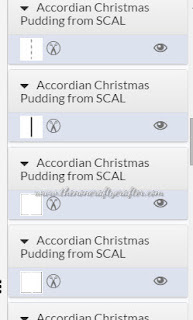 Each font includes a range of alternate characters that can be fully accessed through either a Windows or Mac computer without the requirement for fancy design software. Each font also includes lots of PUA (Private Use Area) Encoded Characters. You can use a character map to access these characters in the same way you do with the Samantha font. Here's a (very) quick example of one of the fonts (Beauty Atok Script Italic) and one of the papers from the Ultimate Digital Paper Bundle. 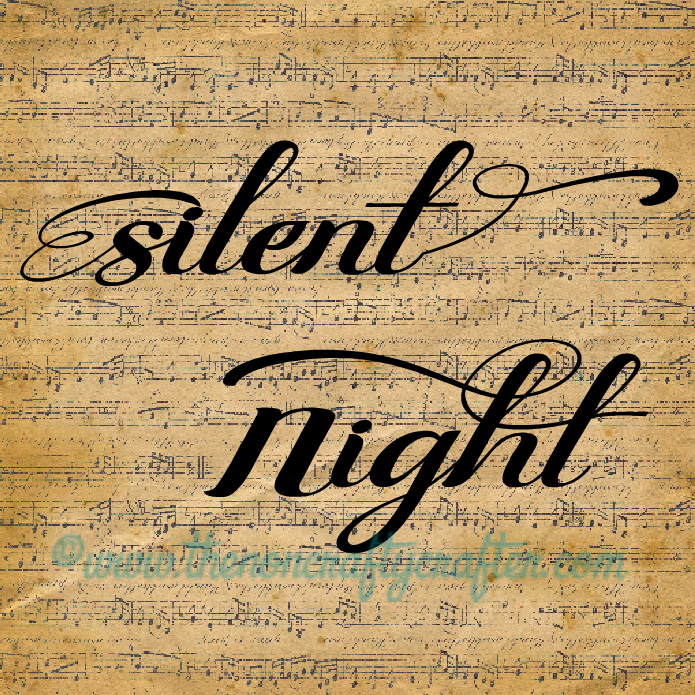 (Antique Music). There's 16 different music papers in this set alone. 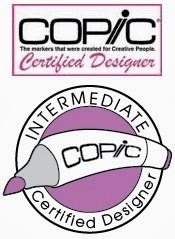 Click on the link to see examples of all the fonts and their other characters. 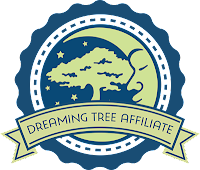 **This post contains affiliate links (Cricut.com and Amazon) and I will be compensated if you make a purchase after clicking through my links. 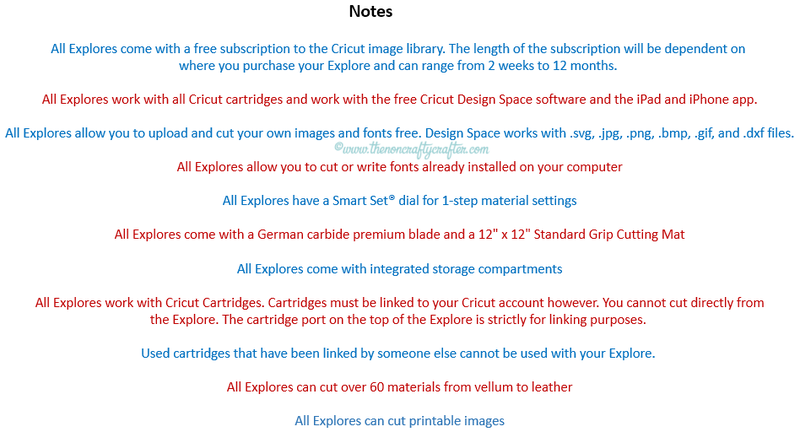 At the end of this post I'll add links to some of the current Explore deals as I find them. 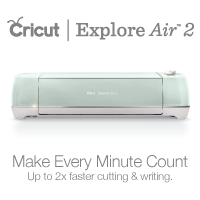 Cricut Explore Air $219.99. 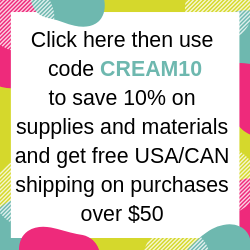 Use code DOORBUSTERS to get 10% off and free US (continental) standard shipping. 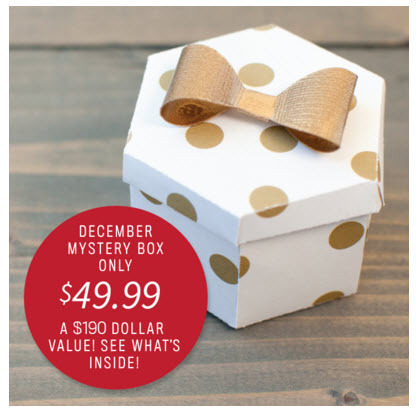 Brings price down to $197.99! 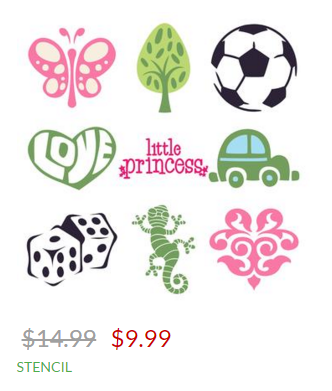 Be sure to check out the bundles at Cricut.com. There are various bundles available and depending on the inclusions can be a much better deal. 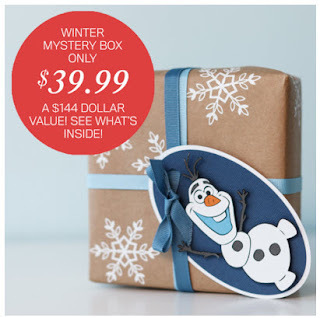 You can use the DOORBUSTERS code on those too! Explore One (grey) online $199.99 with free shipping. http://amzn.to/1lNUHTF - Click the Explore One bundles button. 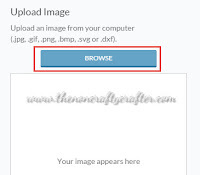 http://amzn.to/1lNUHTF - Click the Explore Air bundles button. 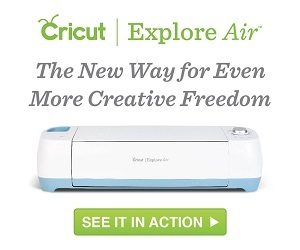 CRICUT EXPLORE AIR BUNDLE - Explore Air machine with printable sticker paper, printable vinyl, premium blade, 12 x 12 strong grip mat & 60 day subscription. $229.99. In stores only. CRICUT EXPLORE ONE BUNDLE - Explore One machine with vinyl sampler Home 12x12, 12x48 transfer tape & 60 day subscription. $199.99. CRICUT EXPLORE AIR FROZEN BUNDLE - Explore Air machine with weeder tool, printable sticker paper, frosted window cling, vinyl sky, vinyl silver, Frozen digital image set, & two week subscription. $229.99. 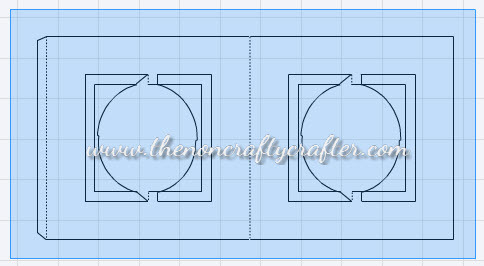 Ever wanted to cut something larger than the 12" x 12" or 12" x 24" mat? 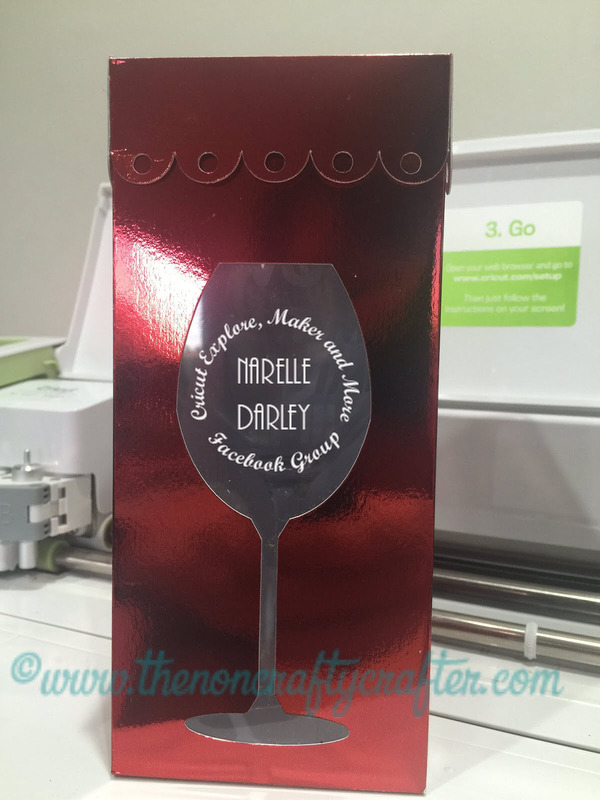 Well, here's how you do it using Cricut Design Space. I'm using a tree image from the Zoobaloo© cartridge. 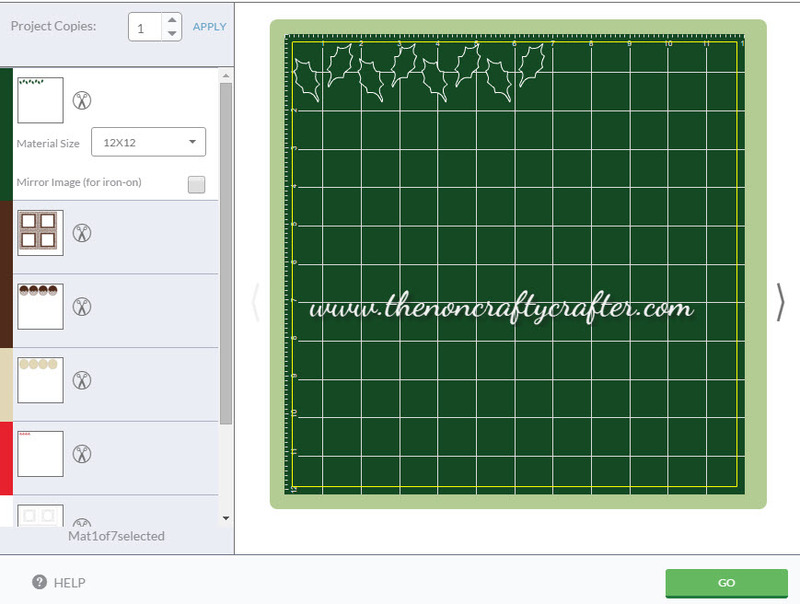 Insert your image on to the canvas and resize it to the height or width you want your finished project to be. I'm setting the height of this tree to 50 inches. Here's a list of the fonts that have a writing style in Cricut Design Space. (That means they are single line fonts that don't have to be filled in and are perfect for using the writing feature in Design Space. 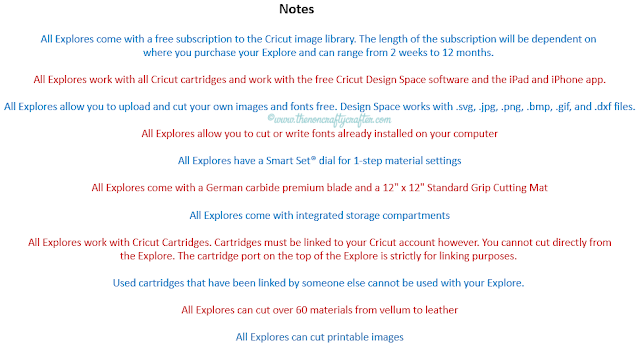 Fonts that are included in the subscription are noted as such. 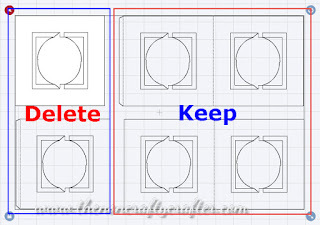 Curving text in Inkscape is easy!! 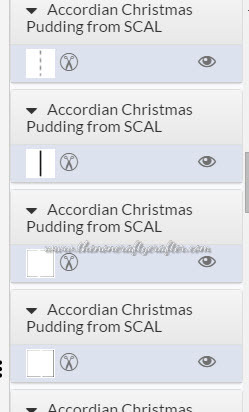 Tip: At any time if everything looks a bit small on the Inkscape screen click the + button on your keypad to zoom in. Click the - key to zoom out. Hold down the space bar and move your mouse to re-position the screen. There are many SVG's available for use with Design Space. But some import into Design Space better than others. That's dependent on which design program was used to create those SVG's. 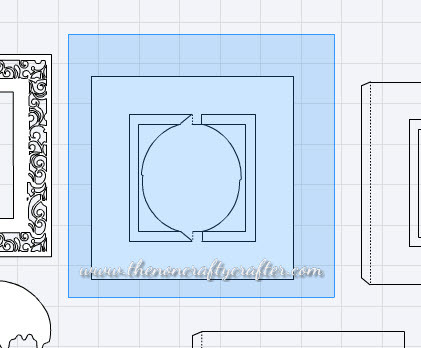 When this SVG is inserted onto the DS canvas this is what it looks like. Not ideal! Here's a really pretty card I put together using a SVG from Tina's Cutting Files Studio. 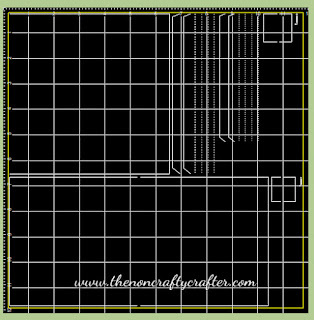 This card can be made up of as many panels as you wish just by cutting extra panels and adhering them together. 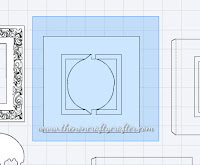 Here's some instructions on how to use this SVG in Cricut Design Space. 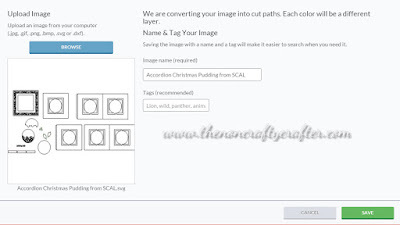 The following method works if you have converted the file using Sure Cuts A Lot 4. 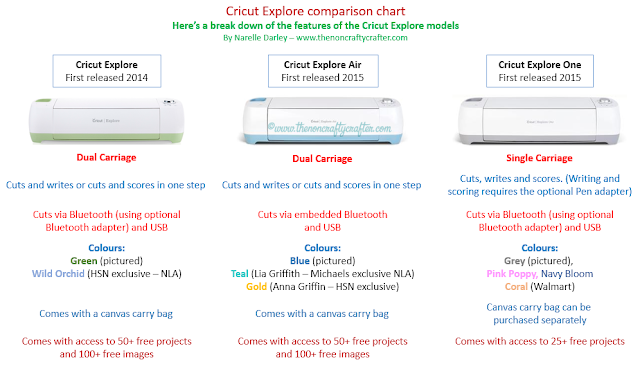 There are extra steps if you use Make the Cut, Craft Artist 2 or Inkscape. Those instructions will be added to the end of this tutorial soon! Now that you have converted the SVG it's ready to import into DS. 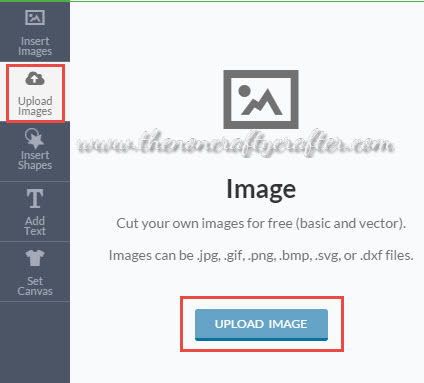 Open Design Space, sign in and click Upload Images from the left side toolbar. The SVG image will appear in the preview window. 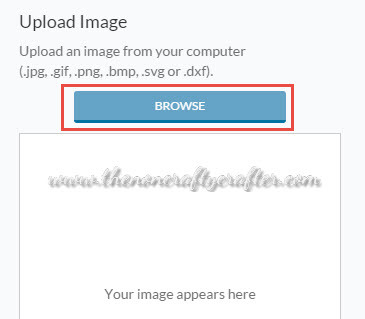 It will now appear in your Uploaded Images Library. 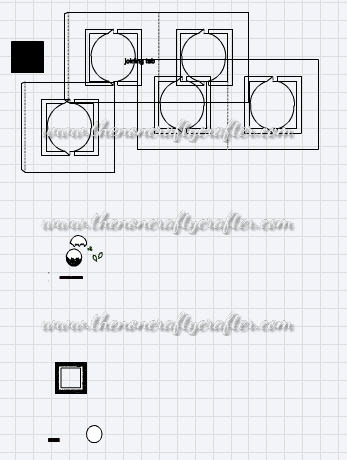 If it's a large file with many pieces (like this one) you may see this image. The SVG will open on your screen. If it opens too large to see the whole design you can click the zoom out button. Before cutting the file make sure you've attached everything. 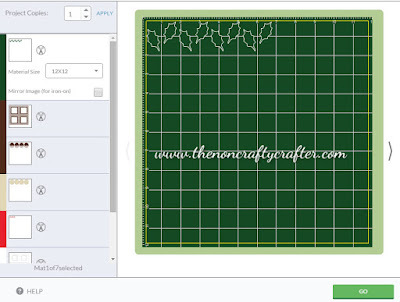 Otherwise all the individual lines including the score lines will be placed on their own cutting mat as shown below. 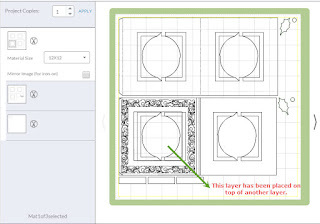 Select the entire image and click Ungroup from the bottom of the Layers panel. If you don't, the file may end up too big to fit on the mat and you'll get this error message. 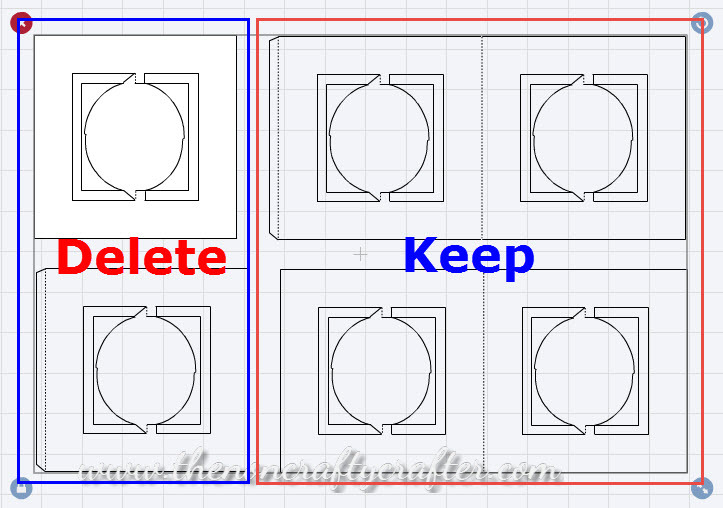 Drag your mouse around individual shapes that have more than one line and click Attach. 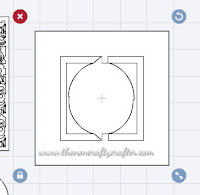 Click Attach from the top of the Layers panel. 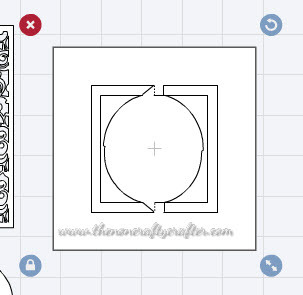 This image shows that there's multiple layers (lines) in the image. Repeat for each of the other shapes. Some of the shapes don't require attaching. 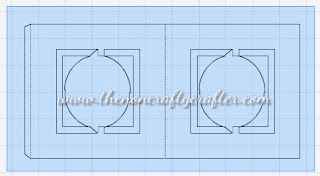 For example this shape is only made up of one layer as indicated in the Layers panel. Click the Go button and check that everything is correctly attached. There's no stray lines anywhere but for some reason one layer has been placed on top of another in the preview but that will be fixed later. 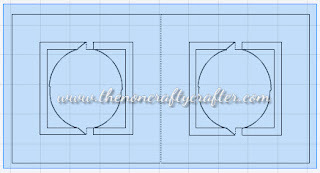 Before cutting this file you need to decide how many panels you want in your card. In my example I have used 4 panels. Some images I will need to duplicate and some images I will delete so they're not cut. I won't be needing the two single panels so I can delete those. 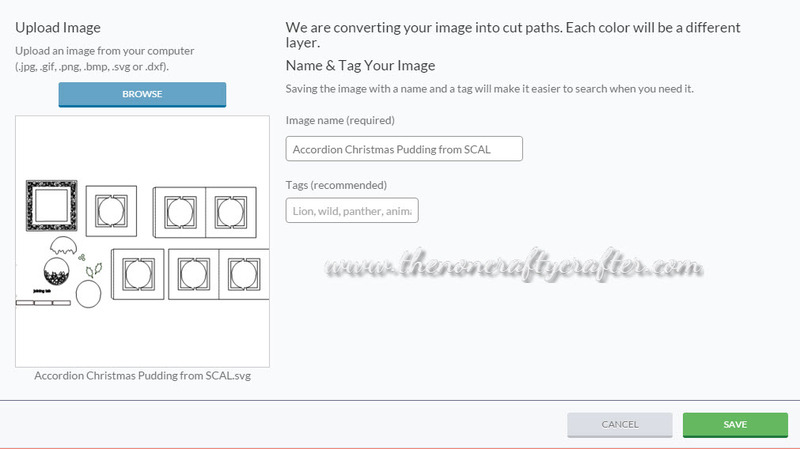 Before duplicating any of the images we'll change our colour scheme. Currently all the shapes are the same colour. 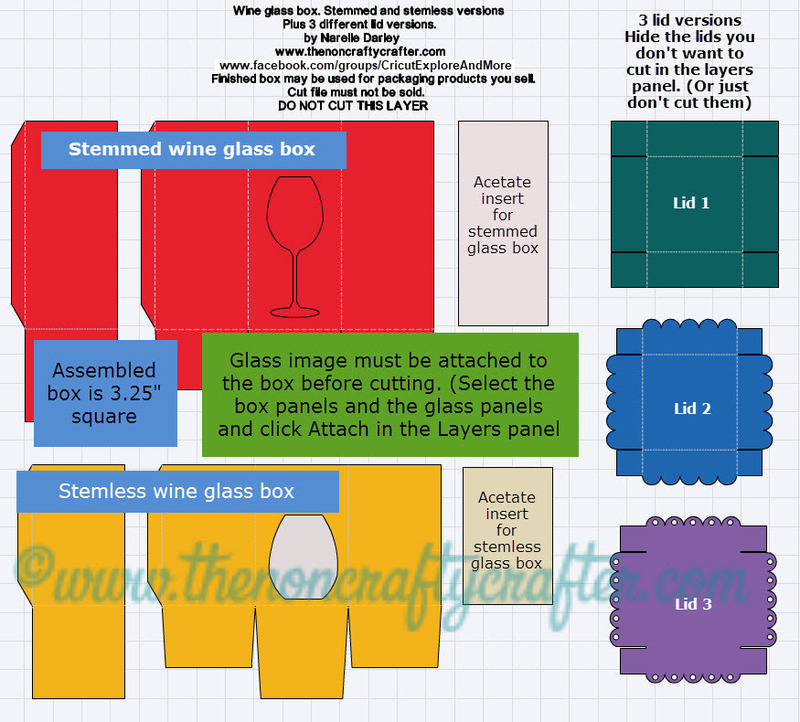 To put each layer on its own cutting mat we need to change the colour of the individual shapes. I selected Cocoa for the filigree piece. 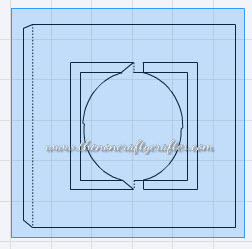 Click on that shape in the Layers panel then click the scissor icon. The colour palette will open and you can select your colour. This piece I also changed to Cocoa. I changed the berries to red and the leaves to green. Everything else I left as white. 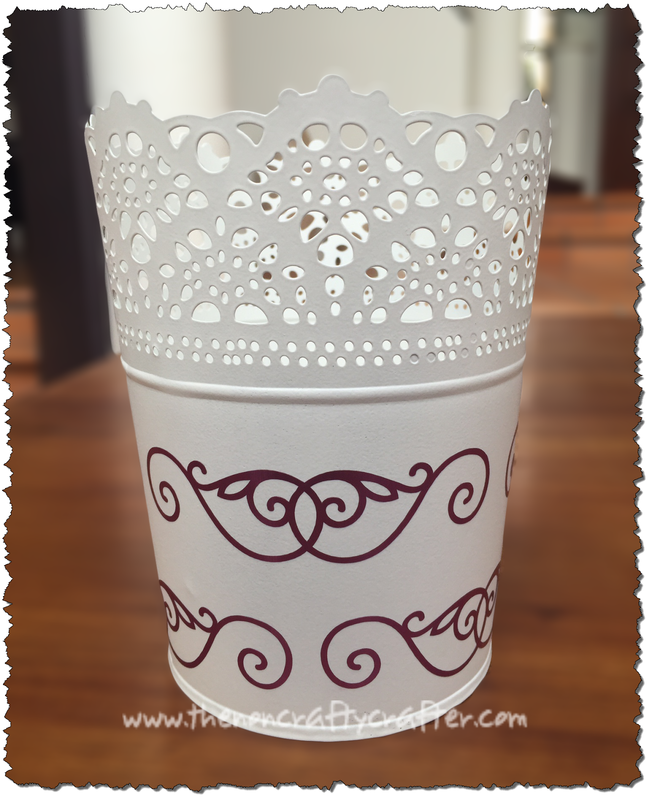 Next I need to duplicate the filigree layer 3 times so I have 4 of them. 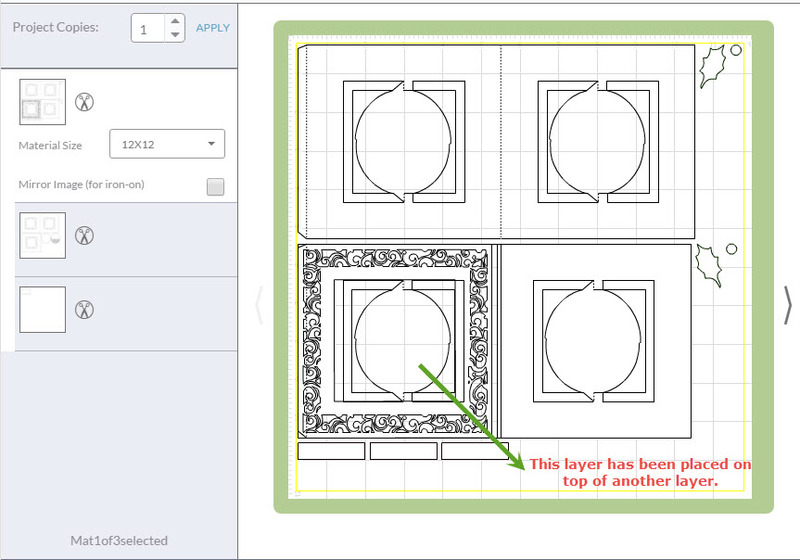 Select that layer on the canvas and from the bottom of the Layers panel click the Duplicate button three times. 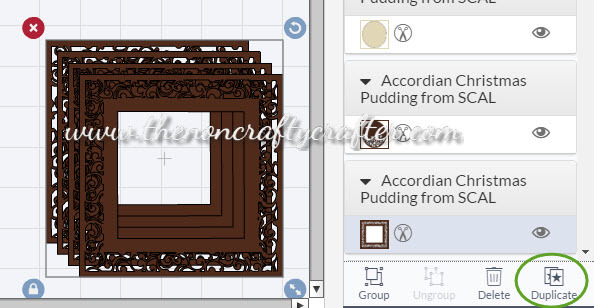 Each of these pieces I'll need to duplicate three times. Select them all by dragging your mouse around them and duplicate them all at the same time. 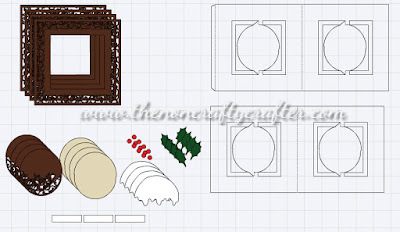 Here's all the pieces ready to cut. 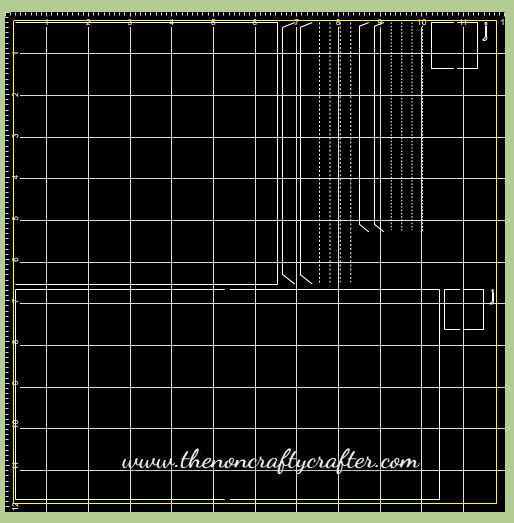 Click go and everything will be sorted to the correct colour mats ready for cutting and assembly! 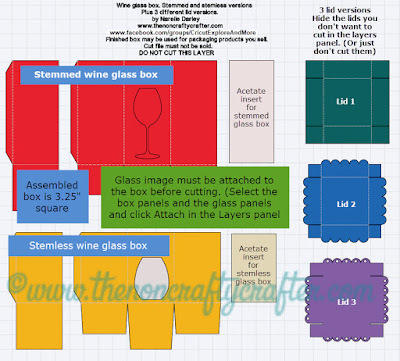 You'll find that many of the svg's from Tina's Cutting Files Studio work this way.